The final countdown to Christmas has begun and you may need a few more stocking stuffers! Here is a list of some of our top items that will make perfect stuffers! For Saratoga Fans 1.A Gift Certificate to their favorite store... Impressions of Saratoga! Or the Local Living Guide Coupon book, they can shop downtown all year long and save over $3,000! 2.Horse racing fans will love our Starting Gate Ornament , made by the same company that makes the real starting gates this ornament comes in a tin, the gates open, and a bell sounds when the gates open! 3.Our new landmarks collection is modern looking with all of Saratoga Springs well known landmarks on them. The collection includes: a mug, tea towel, trivet, and a coaster set. For Him 1.Handmade in Tennesse our Horseshoe knife or Pony Shoe knives are an awesome and unique gift. Each comes with a leather sheath to carry the knife in as well. 2.Maybe a little big to stuff in a stocking but we carry a beautiful Saratoga Growler, you can fill it up with his favorite brew (or Saratoga Spring water) and Christmas will be extra Merry! 3.A Saratoga Starting Gate Money clip is a classy, thoughtful gift that they can carry with them everywhere they go. For Her 1.Scarves! You can never have too many! 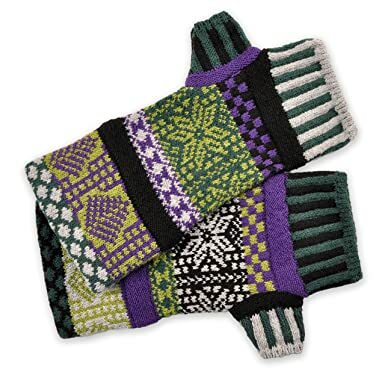 2.Solmate Socks or fingerless gloves... this brand new line for us is flying off the shelf! Because they are adorable! Each set has a color scheme and pattern but the two do not match perfectly. They are fun and eye catching and make a wonderful stocking stuffer. 3.Portable, Stackable, Saratoga Wine Glasses! Two wine glasses for $14.99, you can't go wrong! Bring them to SPAC or the track! Each folds into itself and has a carrying handle. Plus they say Saratoga on them! For the Dog 1.A Festive Bowtie or Flower from Doggone Stylish is a great way to dress up your pup without embarrassing them! 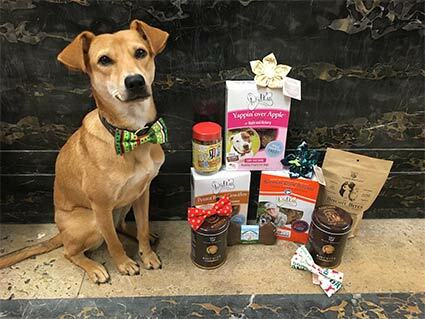 2.Dog treats made by great companies like The Lazy Dog Cookie Co and Oliver Bentleys your dog will be happily stuffed after opening these up! 3.A Saratoga themed collar and leash for your strolls on Broadway. 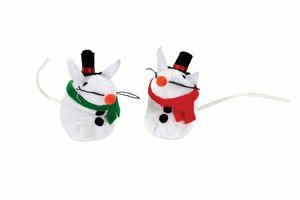 For the Cat 1.Catnip Santa Mice sets are oh so nice for your kitty! And they are really cute! 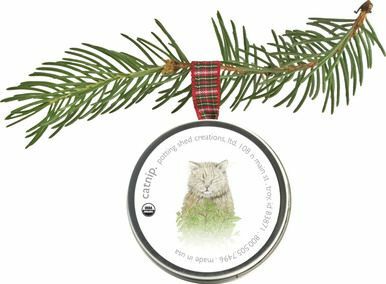 2.We love these new ornaments that include a tiny seed kit inside to grow things like: catnip, dog grass, and even a Christmas tree. 3.Maybe not for the cat's stocking but for the cat lover... a fun mug with sayings like "Women and cats will do as they please..." or "It's a cat's world, I'm just here to open cans." For the Kids 1.Horse dice or farkle, the popular dice game recreated with a Horse theme! Instead of a 1 on the die there is a horse! Farkle is a fun game that can be played anywhere with as many or few people as you would like! 2. Mini trinket boxes to store their treasures in, it is an inexplicable phenomenon, kids love to put things in boxes, I know I did when I was little, storing things is fun and what better way to store things than a horse inspired box! 3.Toasty toes horse boots have been so popular this year, they are a little big for a stocking but they are so great you can't pass them up! For FUN! 1.Blue Q Socks! We have a ton of super fun (and some a little too fun) socks from Blue Q for both men and women! Sure to get a laugh when they pull them out of the stocking! 2.Burts Bees Chapstick sets, the perfect item to have on you at all times now come in gift packs of 4! 3.Since we aren't going to have any snow this year for Christmas why not fill the stocking with some Magic Snow in a Can! Just add water for some instant snow fun! We also have great items like the peppermint pig, ornaments, holiday decor, and more! We are open every day until Christmas! Monday through Wednesday 10 to 8 Thursday 9 to 5 Closed on Friday for Christmas!